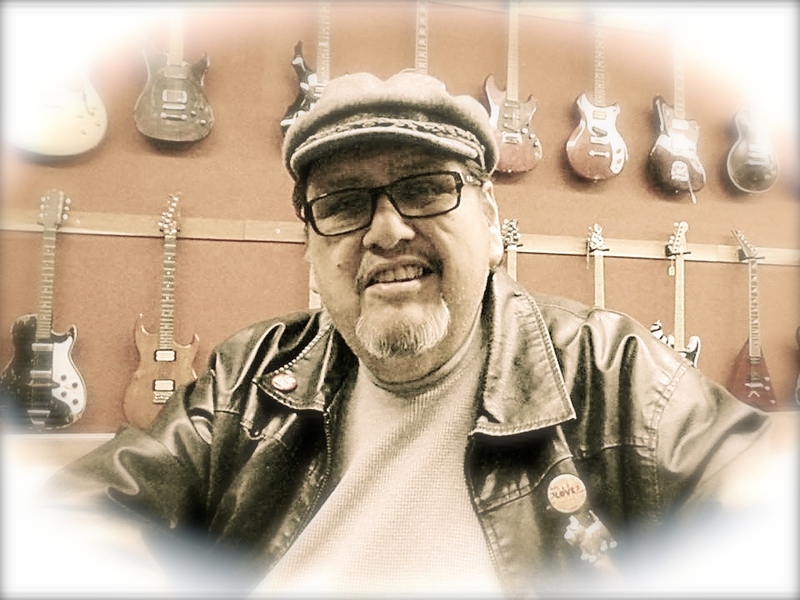 Manuel Robert Gonzales, a Musician from East Los Angeles, died unexpectedly on August 5, 2016 at the age of 63 while visiting family. Manuel was a devoted family man and lover of music, he was a lover not a fighter. A kind soul and gentle heart combined with his enjoyment of his fine ear for noticing any musical tune, a perfectionist at times. He enjoyed rocking out, as a founding member of The Blazers then branching off on his own with The Big Manny Band and being part of the East Side Soul movement. A combination of roots, blues, rock and roll with his East LA twist. He often played at home, blessed with his unique voice and musical natural talent inherited from his father. Manny was well renowned by the musical community spanning from Europe to Texas, to his own local hometown of East Los. There was many quotes to chose from but this one hit home. He will live on through his recordings and our memories. To go out with a BANG! I discovered https://www.youtube.com/watch?v=FoyZICjEu_Y the day he died. Man could Big Manny play.! Thank you for remembering him and posting an obituary. Live on, Manuel. Rest my Brother rest, play on Heaven is Rocking miss you BRO. The Joy u shared with all of us. Our Love 4 Tu Familia, Joaquin CCTX.